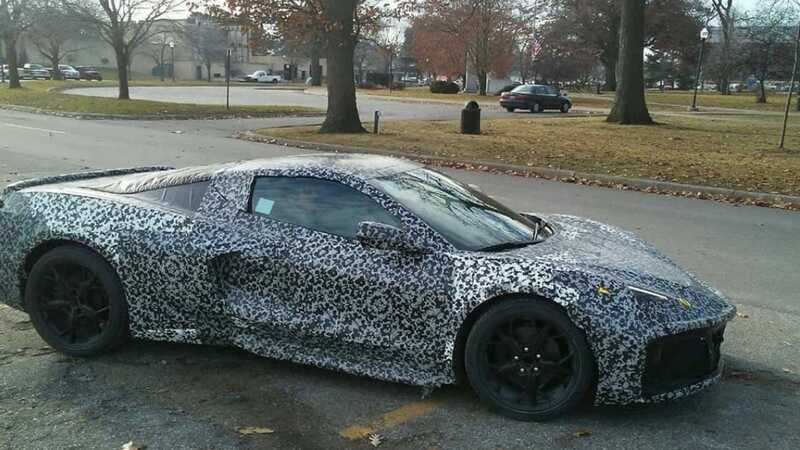 GM's latest mid-engine monster is frequently discovered during testing. Go for McDonalds. Race. Going to Germany The North American International Auto Show in Detroit will not be on display next month, but that does not stop GM's engineers from driving in full sightseeing to be discovered. This one was spied on by @ rhurren505 and @njhurren on Instagram today high up in The Thumb (Port Huron) of Michigan. We've talked in the past that the new car should occasionally be a mid-range Corvette called Zora, looks a bit like a Corvette fused with a Ferrari and a McLaren, and then became a centrifuge machine booted. It's a little edgy, a bit wide, a bit beautiful and a bit awkward at the same time. In camouflage I'm a fan. We'll see what it actually looks like when it's shown in the final production form. The interesting part of this Instagram post is the door panel pictured below. This is the first time that we have any clues as to what the interior of this mid-engine vehicle might look like. From this perspective, the door looks like it has a GIANT cutout for the driver's left arm. This could be an indication that the seats are thrown into the outer area of ​​the cockpit, as is often the case with a mid-engined car. This door trim also looks a bit stricter for a high-end sports car, so it's possible that the prefabricated door trim might not look like it looks. In any case, it's a good place for a very good car. I hope Chevrolet invents a new sports car that is not called Corvette at all, and puts this over the alleged C8 with front engine. Let Chevrolet have three sports car series. This brand deserves it. And while you're at it, make a new Cadillac XLR.